According to the US Department of Justice more African Americans have sentences for drug convictions (of more than one year) in state prisons than any other offense. 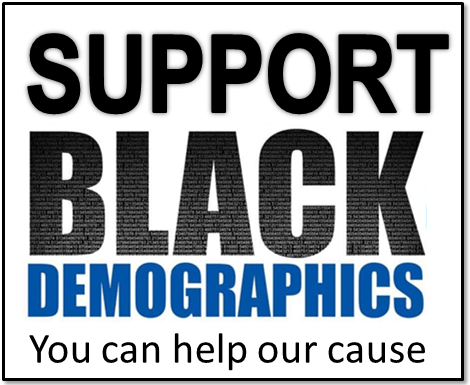 Approximately 122,600 Blacks were under state jurisdiction for drugs accounting for 21.1% of all Black state inmates in December 2009. 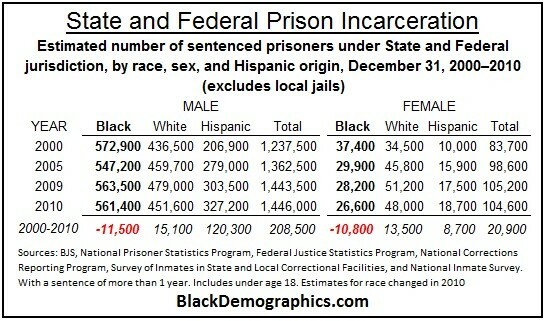 This is higher than the 17.8% of all inmates incarcerated for drug offenses. Robbery was the cause for the second largest percentage of Black inmates with 18.9%, followed by property crimes which include burglary, larceny, motor vehicle theft, and others at 15.2%. 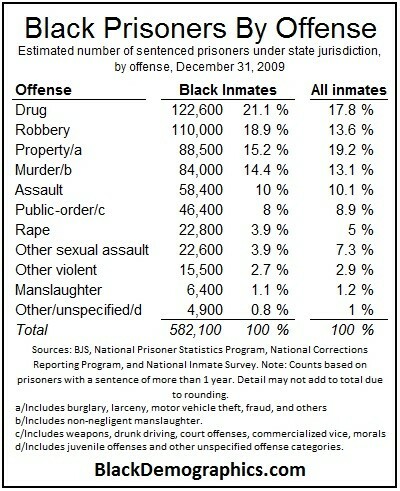 Murder convictions were responsible for 14.4% of African Americans in state prisons. The number of Black Men and Women in State and Federal prison declined by more than 20,000 between 2000 and 2010 while the total White Men and Women incarceration increased by 28,600. Hispanic incarceration experienced the largest gain increasing by 129,000 during the same time period. 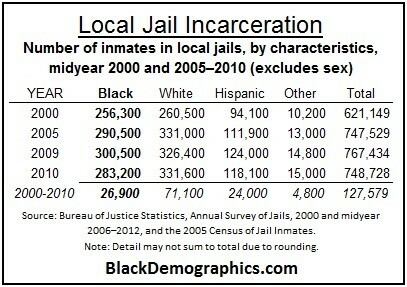 Of the approximately 127,500 increase in Local Jail population between 2000 and 2010, only 26,900 were African American Men and Women which was much less than the 71,100 increase of Whites to Local Jails. The Hispanic population increase of 24,000 was the lowest during the same time period.